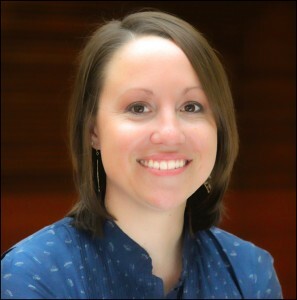 Kim Meyer recently joined the University of Wisconsin Nutrient and Pest Management (NPM) Program as an Outreach Specialist in Southwest Wisconsin. As part of the NPM program, Kim will be working with county partners to deliver educational programs that promote farm management practices that protect water quality while maintaining or improving farm profitability. Kim comes to the NPM program from Frontier FS Cooperative where she worked as a Nutrient Management Specialist for the past two years. Previously, Kim worked with the Dane County Land Conservation Department as a Soil Conservationist, the Sauk County Land Conservation Department as an intern assisting with nutrient management training, and the USDA-Natural Resources Conservation Service on the Wisconsin Buffer Initiative. Kim has an M.S. in Water Resource Management from UW-Madison, and a B.S. in Ornamental Horticulture with a business emphasis from UW-Platteville. Kim is a CCA, CPAg, and a USDA-NRCS Technical Service Provider. She is proficient in SNAP-Plus and has a farm background. Kim’s permanent office location is undetermined, but she is currently working out of the NPM-Madison office at 445 Henry Mall, Madison, Room 318. She can be contacted via e-mail at kjmeyer6@wisc.edu or phone at 608-219-5170.